Know How a Pharmacist Ensures Public Health Compassing Multiple Job Responsibilities. Explanation of public health has changed gradually over the time. You can describe the subject of public health as the science and art to prevent ailment, extend life-expectancy, and to support physical as well as mental health of human race with the structured efforts of group of people. The efforts of the group of people should be channelized for betterment of society, sanitation, prevents infection and to make aware the people how to maintain personal hygiene along with hygiene of society with best medical care. In this case point, we cannot deny the role of a pharmacist in maintaining public health with best medical service and care. Whether it is to take care of human health or to maintain the hygiene of society, a professional pharmacist can assist you the best. Let us have a look how a professional pharmacist assures to secure public health. 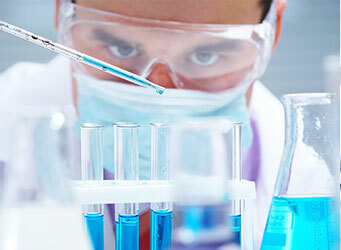 He helps curing diseases in preparing medicines. First, he reviews the condition of health of a patient, detects the remedial incompatibilities. He distributes medications after compounding, packaging and labeling the pharmaceuticals. He helps to diagnose diseases with physiological processes that to recover public health. A role of pharmacist does not end here. There are so many things he needs to cover to ensure the public health, such as supervising the operational process making medicines in pharmacy, managing the skill of technicians to maintain speed in workflow, verifying the process of preparing medications, and labeling of pharmaceuticals. He also needs to confirm each entry of orders, charges and to inspect the whole process. To monitor and maintain the nursing unit. Regular inspection to ensure the proper workflow in the medical organization or hospital. Maintain records of medical substances. Quality checking of medications with right stock maintenance. Keep him updated with existing as well as latest legislation. Maintain the documents to keep the records of each patient in hospital history safe and secure. Remove the expired drugs from hospital inventory. Finally, to advise the management how to take necessary action in right moment without any flaw. Moreover, it is a major responsibility of a pharmacist to keep his working premises clean and hygienic with the implication of legal procedures, rules and regulations. A pharmacist is hundred percent devoted to his profession and he is always ready to serve people and to fulfill his commitment.